Copenhagenize.com - Bicycle Urbanism by Design: Monument to a Dying Culture? Monument to a Dying Culture? 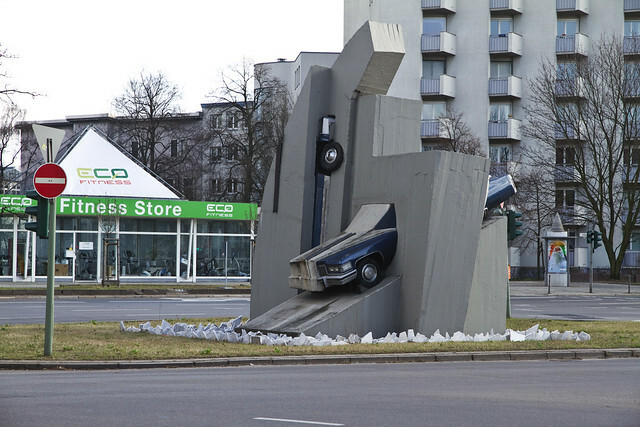 I spotted this monument/artwork/statue/thing in Berlin, in the middle of a roundabout at the far end of Kurfürstendamm. Impressive stuff. Is it the tint of my 'liveable cities' glasses that gives me the impression that it's not exactly a postive monument to car culture? If any Berliners know the story, please let us know.